Today Aegon employees will be swapping their normal workplaces for a local charity or good cause of their choice as part of Aegon’s Global Volunteer Friday. Joining them is Matt Rider, Aegon's Chief Financial Officer, who is volunteering at Hof van Wouw, a charity that offers low-cost housing to elderly people. "I'm really proud that so many colleagues around the world are using their knowledge, skills and time to help their local communities," said Matt. "There's no better way for us as individuals and as a company to strengthen ties with our local communities and better understand the people we serve". Now in its sixth year, Volunteer Friday has grown every year, with Aegon's volunteering program now extended to nearly all (96 percent) of the company's global workforce. Aegon employees from all over the world volunteer to help our local communities. Is a great Friday for Aegon! Volunteering is, however, about far more than one day alone, and Aegon facilitates a wide range of the volunteer projects throughout the year – from the US to Slovakia and from Spain to Poland. 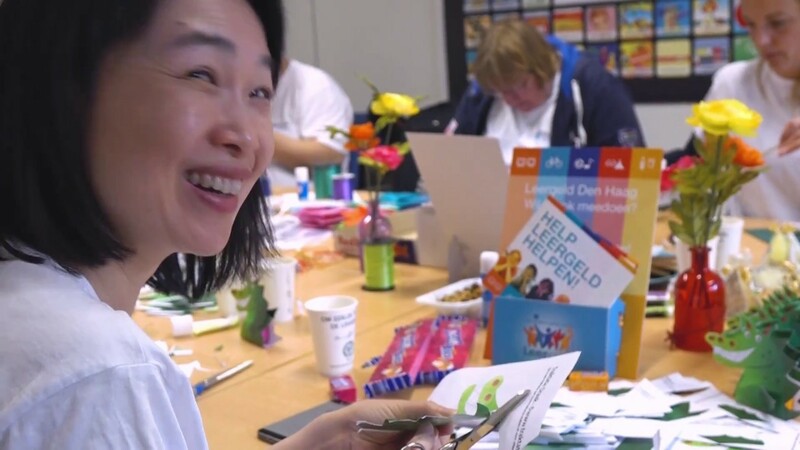 What's more, through cash donations and volunteering, the company supported over 600 different charities and good course in 2017, including Habitat for Humanity and United Way in the US, as well as cancer research and the Alzheimer Center at Vrije Universiteit Medical Center (VUMC) in the Netherlands. To see more about how Aegon employees are helping their local communities, check out the #InsideAegon (external link) Social Wall.